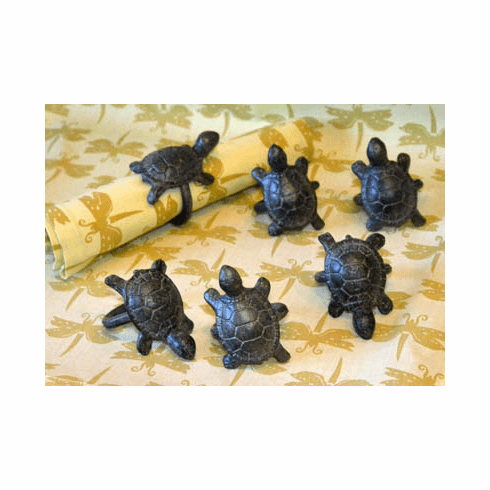 Turtle Napkin Rings, Set of 6 - Bring a fun sense of nature to your next dinner party or picnic with our delightful aluminum turtle napkin rings. The rings are large enough to accommodate a large napkin. Measure 2-3/4" x 1-3/4".